Zoom Zoom. Mazda unveils the all new Miata! 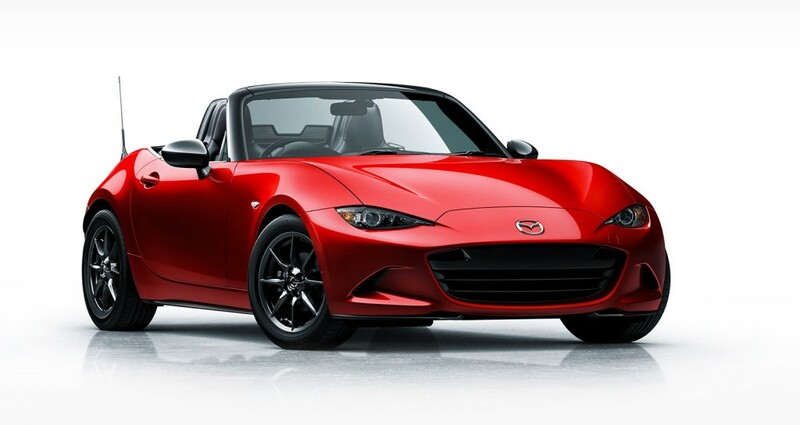 The ever-famous Mazda Roadster MX-5 (or Miata as it is known to my Stateside brethren) is now celebrating its 25th anniversary with the introduction of the 4th generation model. Launched at a global wide event, spanning over Tokyo, California, and Spain, the showing was headlined in America with an introduction from Mazda’s American director of design, Derek Jenkins. Although the 2016 model is the latest iteration of what is often called the perfect sports car, the story of the MX-5/Miata is one of a vehicle that almost never saw the light of day. The hot drop-top we all know and love as the most competitive two-seater on the market, came to fruition after a 10 year uphill battle by Mazda’s in-house racing enthusiasts. After watching the purist English road racers of yesteryear fade into obscurity (such as the MGB and Triumph Spitfire), motorist pined after a modern solution to fill the gap. Unfortunately, the early 1980s proved to be a difficult time to green-light a small roadster variant with the unique setup of front engine and rear wheel drive (FR). At the time, the market was more geared toward front engine and front wheel drive (FF) platforms, and the occasional mid-engine rear wheel drive, such as the popular Toyota MR-2. For a smaller maker amongst the looming giants, Toyota and Honda, committing to the idea would take a leap of faith. Knowing the success of this vehicle would depend on how closely they could stick to this idea, they began working with a uncompromising attitude for a simple, lightweight, responsive vehicle that anyone could enjoy driving. 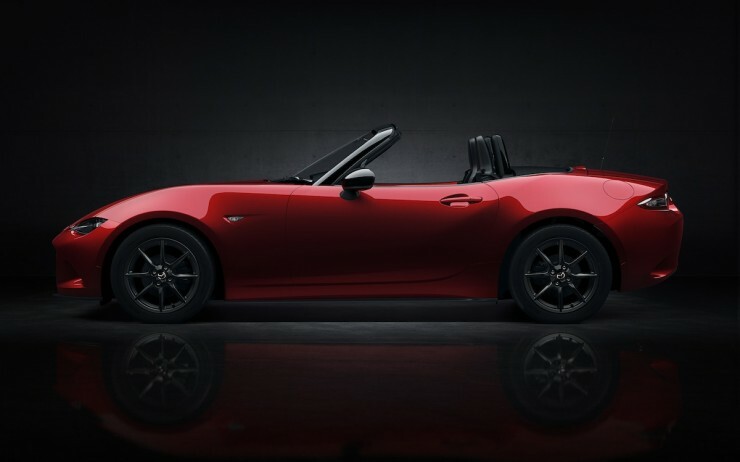 As an added cherry on top, the Miata was created with an almost perfect 50:50 weight distribution. This was a perfect match up for its wide stance and low profile making it a dream to handle. After a series of running mules that were met with increasing interest, the project continued to build momentum until its unveiling at the 1989 Chicago Auto Show. It was there that Mazda knew it had made history as buyers, racers, and every car media outlet around the world demanded more of the hot, little roadster. The only point that proved to be a bit of a let down for some of the more die-hard fans, was that the car had taken the design cues of the Lotus Elan Sprint a bit too directly. Regardless of this fact, which people got over quickly, it was apparent that a chapter in iconic cars had been opened for this experimental project. It was not long until Honda came out with a similar setup with its S2000 and BMW found its own entry into the market with the early Z3. 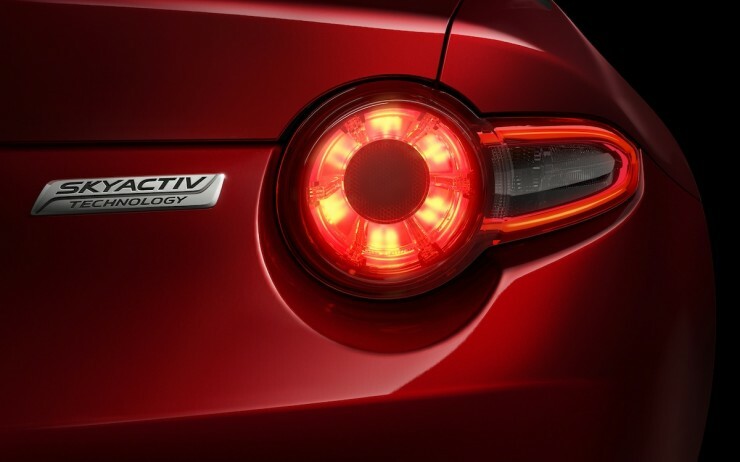 This all proved that Mazda had perfected the formula for the little guy with big value. At present, just under one million Mazda MX-5s have been sold worldwide and have gained over 200 awards in recognition of the car’s continued innovative performance technology. To top it all off, the roadster is the most raced and celebrated two seater sports car on the road, and has even gained the elusive blessing from the “Top Gear” antihero Jeremy Clarkson. 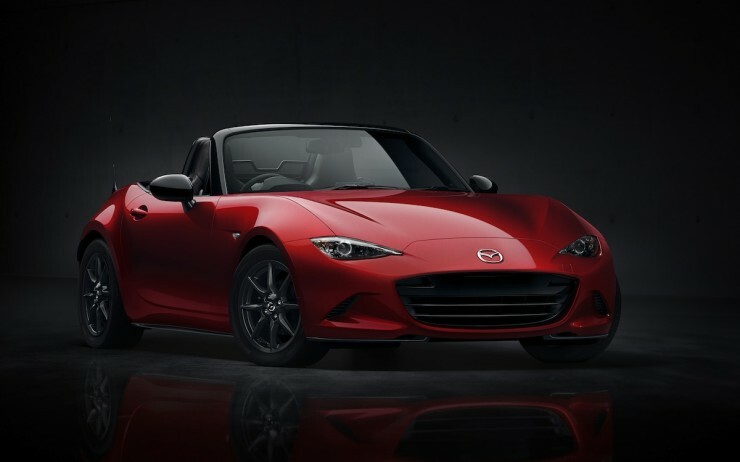 Although undoubtedly one of Mazda’s flag ship vehicles, the roadster still only makes up for 1% of the automaker’s sales across the board. Even with such a relatively lower sales margin in the company’s line-up, the MX-5 is an important trophy of pride that exemplifies the company’s icon “Zoom-zoom” mantra. The 2016 model continues in the legacy with bold design styling coupled with an amazingly constructed body and chassis. 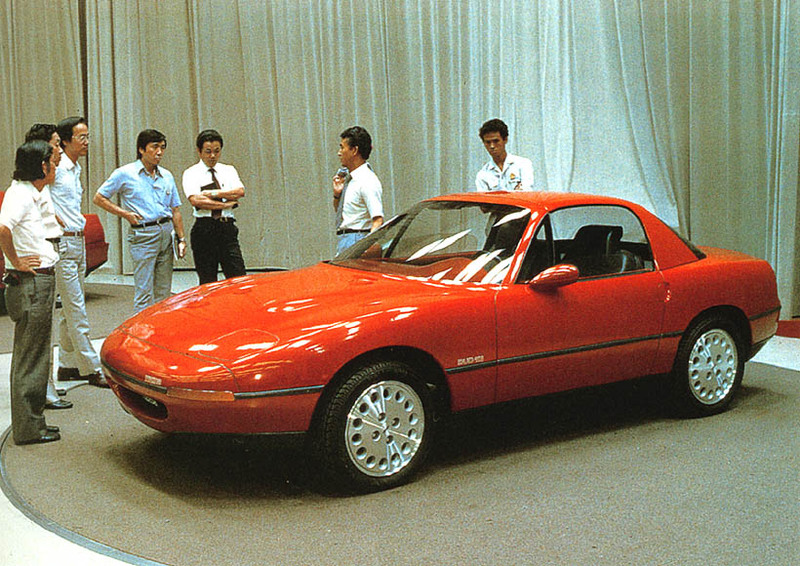 By mounting the engine lower in the chassis and using active-hood technology, Mazda was able to create a bonnet that meets European pedestrian crash standards without resorting to ugly, blunt-nose styling that is common with BMW and Mercedes sports cars. Although the general audience can agree that the exterior and interior trimmings moved them all in the right way, there is still little that is known about the power train that will tug the vehicle around the track. What we do know is that Mazda has resisted the urge to fit a flappy paddle gearbox and instead is sticking with the short throw six-speed manual that we all know and love. No word yet on engine specs but rumour has it that new MX-5 will be lighter by some 100kg than the previous generation model. Mazda was able to achieve the big weight drop thanks in part to the use aluminum for the hood, trunk lid, and front/rear bumper assemblies. The new Mazda MX-5 will make its “official” debut at the L.A. Auto Show in November, so we should get full details at that time. But until then, you might be able to catch a few unofficial 2016’s zooming around as Mazda hopes to break another Guinness record with the most MX-5’s in one place in an upcoming marketing campaign. 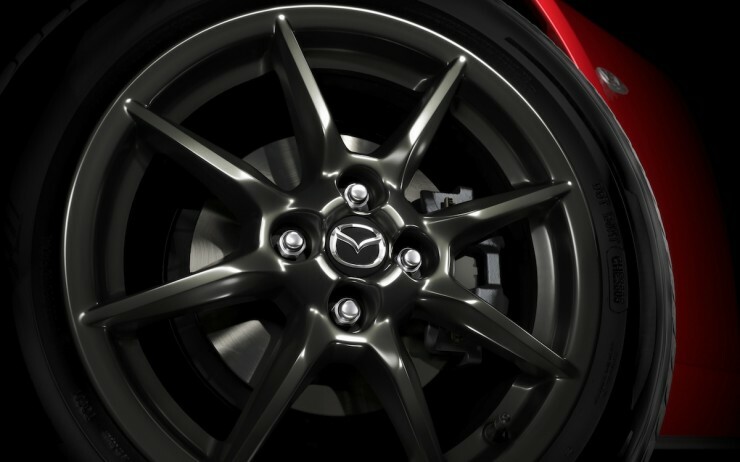 Currently, Mazda is the best car company in the market! 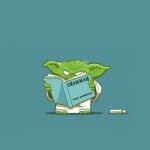 Very innovative and on the correct track for the future!! It’s a good looking car and love the curves. I’m a huge fan and used to be a proud owner of a limited edition mark II model. Zoom Zoom! 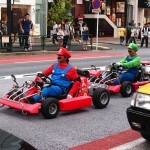 If you're planning on doing some driving in Japan, make sure to review the road rules. Return Of The Champ: Can The Honda NSX Make A Comeback? Things are a lot different since 1989. 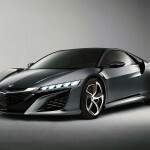 Can Honda make a comeback into the super car world with the all new 2015 NSX?